Vindolen exits the back door to Aunt Marla's and stands quietly in the alley, allowing his sharp senses to adjust. Feeling like he's being watched, he slips a hand to his dagger and turns his head slightly. A large owl turns its head from the rooftop across the street, looking at him quizzically, but doesn't seem alarmed by him. He then hears the back door open and a familiar voice growls, "Looking for something?" Keeping one eye on the owl, Vin grins slightly, knowing Spades is in the doorway. The tabaxi steps out beside him and raises his arm. The owl plummets toward them on silent wings and lands on Spades' outstretched arm. "Getting crowded out here." This murmur is another familiar voice, as Septinius Bosch and Grimmell step out into the alley and quietly close the door behind them. Grimmell looks around, frowning at the light drizzle of rain. Spades and Bosch growl and groan at the same time. "Common, please? I thought we agreed on this long ago." Spades hisses. Grimmell smiles and gives Vin a questioning look. Vin gestures to his companions indicating he thinks someone may be watching Aunt Marla's place. And as if on cue, they hear voices, whispering in "hushed" tones. Unable to make out the words exactly, the voices are coming from somewhere in the alley; an open window three stories up in an old, stone building close to the main road. Vin steps back into the shadows of the wall, blending in almost perfectly, knowing his companions are taking similar precautions. 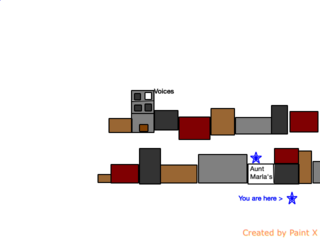 OOC: Octavio > looking at the map in the original post (see below), to which roof does Spades climb and on which side of the street? Thanks. Love the pics of Gillie! (sigh) "Ya know, Darla, yer mouth is only good fer one thing. So, why don't ya put it to use...and send Trip a message. Tell 'im we got movement in da alley." A few seconds pass, then...a whisper floats out the window. "Trip. Movement in back. Any in front?" A few more seconds pass, then...a whisper returns. "Yep. Echo, Dorian, and a blonde chick. They are at Cauthen's." Then suddenly, a latch on the roof opens and a figure steps out into the rain. Gillie immediately turns his head and looks at the Dalesman. The man sees the owl, crouches, and slowly raises his crossbow. "Hold still beauty...this won't hurt but a bit." Back Door #3: Can We Talk? But Gillie doesn't hold still. She leaps from the roof and swoops down, while at the same time, Spades stands up from his crouched position making himself visible and more of a threat to the Dalesman, since he has his crossbow aimed and at the ready. The Dalesman swings his crossbow to the tabaxi on the roof. "Brass! I got a bead on the catman!" Grimmell has one eye on Spades and the other on the Dalesman, his crossbow ready to fire if Spades fires. The elf keeps to the shadows, trying to stay out of direct sight. Whispering under his breath, Vindolen casts a spell and almost disappears from view as he blends in with the building wall he's leaning against. He watches the Dalesman take aim at Spades, while at the same time, the other two speakers appear in the window. One is a burly fellow, the other a woman. Septinius Bosch crouches near the corner of the building beside Aunt Marla's. His light crossbow is cocked and loaded; his aim on the Dalesman sure and steady. "He better make a good decision, else ...he's a dead man," Bosch murmurs, slowing his breathing, ready to squeeze the trigger. "We're ain't here ta kill anybody..."
This from the burly fellow, now standing on the window's ledge. He takes one step and falls feet first from the window! But instead of leaving a red gory mess on the street, he somehow floats the last couple of feet like a feather wafting on a gentle breeze, and when his boots touch the ground, he begins walking down the alley, toward the group. "...but we will if need be." Even before he approaches, you realize he's not human. 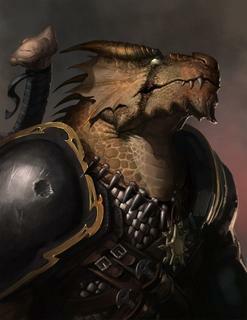 The dragonborn walks on steadily, his hands at his side, eyes on the ground group. He stands well over six foot and easily weighs close to 300 lbs...and most of it muscle. The hilt of a blade protrudes above his shoulder and he carries two short swords on his belt. He stops about 20 feet away as the sky continues to drizzle. He spreads his hands slightly. "So, can we talk? Or does this haf ta get messy?" The breeze flutters the cloak of the woman standing in the window. She is dressed mostly in black and looks to have black hair as well. Is there a bluish glow to one of her hands? Last edited by hedgeknight; 19th of November, 2018 at 12:21. "So, can we talk? Or does this haf ta get messy?" "I can hear you, go ahead." This from Spades who has moved his crossbow aside from targeting the man on the roof. In turn, Green (the man on the roof) relaxes the aim on his own crossbow, dropping the point slightly, waiting for the street talk to play out. Uncertain if he has been spotted, Grimmell stays in the shadows, keeping his crossbow ready and listening carefully. "So, we be here for da book. We know youz gots it. Turn it over and we be on our way. Simple, eh?" The dragonborn warrior looks up at Spades, then at Bosch, then at the "shadows" in the corner near Aunt Marla's back door. "Sure, sure," Spades replies, looking nervously between the dragonborn and the threats on the window and roof. "We’re not greedy, we just hope for a small finder’s fee when the deal is done and we’ll make this a win-win." "Get the book for the fellas here; it'll be easy coin." Says the Tabaxi, turning to Bosch. He winks and nods towards the back door. Then returns his attention to the dragonborn. Septinius gives him a "Are you f*****g kidding me?" 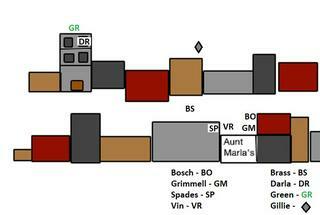 look, glances where Vin should be, and then smiles and nods at the dragonborn. Lowering his crossbow, the rogue ducks through the door and disappears inside. Knowing he has been spotted, Grimmell slightly lowers his crossbow and steps out of the shadows listening closely to what Spades has to say. He can sense the tension in the air, particularly coming from the archer on the roof and the cloaked figure in the window; the dragonborn seems relaxed almost to the point of boredom. Vin listens quietly from the security of his camouflage, even testing the senses of the dragonborn by drawing an arrow from his quiver. The ranger keeps a close eye on the upper window as Spades parlays for the book. The dragonborn sighs and shifts his weight, even as the rain turns from a sprinkle to a light shower. 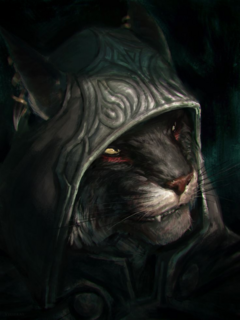 His serpentine tongue licks the moisture from his snout, his eyes flickering back and forth between the Tabaxi and the elf. Suddenly, the back door bursts open, nearly knocked off its hinges, as Oliver comes striding out, axe in hand. "Finally! Something to do besides sit and listen to old women prattle along about books and wayward children! Me and you, wrym! Let's dance!" Bosch hurries out behind him, trying in vain to hold him back. "Suit yerself, boy!" 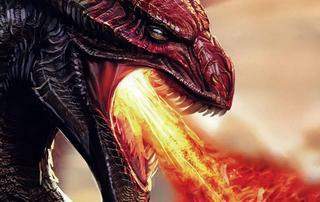 the dragonborn replies, taking three quick steps forward and unleashing a blast of fire from his mouth! The blazing cone strikes the barbarian full force, and passes beyond him for another 10 feet, scorching Bosch and singeing the hair on Spades' tail! Oliver screams in pain, charging headlong at the dragonborn, his axe held high. With another roar of fury, the barbarian delivers a wicked chop that nearly severs one of the dragonborn's arms! Ignoring the stinging in his legs, Bosch drops to one knee and fires a crossbow bolt into the dragonborn's upper thigh. "BRASS!" screams the woman in the upstairs window...just seconds before she unleashes a beam of blue, crackling energy from her fist...and it blows a hole clean through Oliver's chest! The barbarian sags to his knees...a look of disbelief on his face; he just sits there slump-shouldered, dead. The woman screams again, this time in surprise and pain as an arrow thuds into her shoulder from a well-aimed shot somewhere below. OOC: Vin was ready to fire. The dragonborn, unable to pull the great blade from his back, instead jerks a hand axe from his belt and hurls it at Bosch. The axe lodges in the rogues shoulder with a wet thud! Another three inches and it would have opened his jugular! Bosch gags, whirls and slings a dagger at the dragonborn, but the blade glances harmlessly off the creatures natural armor. Spades whistles for Ghillie to swoop at the dragonborn...but he hisses in pain as an arrow from above sticks in his right arm! Grimmell returns the favor to the archer on the roof, drilling the man in the gut with a well-placed shot from his crossbow! Alright fellers > there is blood in the streets! And a dead barbarian! I need actions for Vin and Spades for the end of this round, and tentative actions for Round 2. Posts to come for Feng and Holen and company. Spades struggles to keep his concentration after the events of the last few seconds, which include a blinding flash of lightning leaving Oliver dead in the alley, and a searing pain in his shoulder from the well-thrown axe of the dragonborn. Gritting his teeth, the tabaxi fires his hand crossbow, quickly reloads and fires again! Both bolts strike the dragonborn, burying deep in its reptilian flesh. The one called Brass staggers, reaches for another hand axe, and then falls on its face in the alley alongside the slumped form of the barbarian. A scream of rage and pain echoes down the alley from the window above as the female warlock reappears after being struck by Vin's arrow. A fiery ball streaks from the window to detonate in the end of the alley, blasting everyone with a concussive burst of searing flames! Watching his friend and leader fall, infuriates the man on the roof known as Green. As the flames clear from Darla's conflagration below, he locates the elf and fires, missing Grimmell by about two feet. Screaming in frustration, he reloads quickly and fires again as Grimmell is trying to ignore the burns on his body. This time, Green's aim is true and he buries a bolt in Grimmell's thigh. Grimmell grunts in pain, levels his crossbow at the man on the roof, and delivers a searing bolt right into the man's upper chest! Green cries out and falls backward, disappearing from view. Spades coughs and tries to ignore all of the burning spots in his fur, while frantically searching for Gillie. Unable to find her, he snarls and finds the woman standing in the window. His crossbow comes up and he fires, hitting her solidly. He reloads without taking his eyes off her and fires again, but this time the bolt sticks in the window frame, just missing her. Vindolen was stunned as energy ripped through Oliver. He faltered for a second, and then reached for a different kind of arrow, feeling for the right kind of texture on the fletching. The fireball slams into him, driving the air from his lungs, but it doesn't kill him. Gasping for breath, he draws an arrow from his quiver. The arrow flies true and strikes his target even as she reels from Spades bolt. The special arrowhead detonates into a thunderous clap, bursting the glass in both top windows and sending the woman flying backward and out of sight. Vin reaches for another arrow, but does not fire, because he sees no targets above...or below. For several seconds there is no sound except for the crackling wood of a couple of buildings which caught fire from the fireball. Vin glances around the alley to find his friend Bosch face down in the street, cloak smoldering, body unmoving. For several seconds there is no sound except for the crackling wood of a couple of buildings which caught fire from the fireball. Vin glances around the alley to find his friend Bosch face down in the street, cloak smoldering, body unmoving. The back door flies open again and this time it is Aunt Marla who emerges, followed closely by her servants. Taking in the scene, she cries out in horror and then rushes to Oliver's scorched body in the street. As Grimmell goes to help with Bosch, Spades reacts like a cat on a hot tin roof! (OOC: Sorry, couldn't help it!) Bursting with energy, the tabaxi begins to climb, avoiding the flames and smoke of the burning building nearby as he heads for the rooftops hoping to find some evidence of a trail for their foes. Vindolen, seeing Grimmell and the servants checking the wounded, grimaces at his burns, but is grateful for the contrast of the rain. 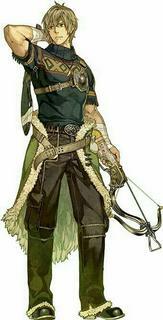 With his bow in his left hand, he follows Spades, albeit not as quickly or adeptly, hoping to find a trail. Reaching the roof of the building where their foes fired upon them, they find an open door with stairs leading to a landing below...and there are the unmistakable red dots of blood spattered along the roof...even though the drizzle is quickly washing it away. The blood doesn't lead to the door and stairs, however. It leads to the ledge of the roof on the back side of the building overlooking yet another alley...and there the trail disappears. Back in the alley below, Grimmell rolls Bosch over and is glad to see the rogue breathing...barely, but enough to not have to call for a priest...at least just yet. He tells the servants to carry Bosch inside and then walks to check the body of the dragonborn, Brass. There are no burns on the body, but his clothing is somewhat scorched. 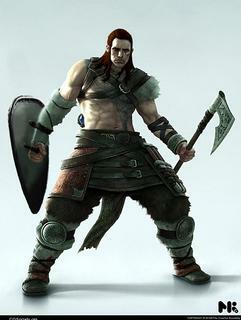 He wears scale mail armor of fine make, carries a curved blade on his back, and there is a hand axe lying beside his body. In his belt is a long knife with an onyx handle. On the pinky finger of his right hand is a band of gold, carved with symbols that resemble feathers. A large pouch full of coin hangs at his waist. Other townsfolk are in the alley by now. Some are trying to put out the smoldering flames threatening to burn down their establishments while others, seeing the bodies in the street, are gathering around to gawk and talk. Spades crouches on the roof ledge overlooking what appears to be the escape route of their enemies, but he sees nothing in the alley below except puddles of muddy water. The tabaxi looks up at the early evening sky again, squinting in the rain, hoping to see Gillie, then back to where they came from remembering his friend Bosch being blasted. His sharp eyes spy the owl on the edge of a gutter about half a block away. Her feathers look a little singed and she gives Spades a "what the hell?" glare as she begins to preen herself, ignoring the rain. With a tightened jaw, a small claw pops from his finger as he quietly spells "Darla" with the watery blood on the roof top. He stands, turning to Vindolen. "We'll get them." Vin doesn't respond, but squats and looks down the ladder hole, hoping to see some clue as to the quarry's direction. Spades pats him on the shoulder. "Thanks, Vin. Although I try not to, I always end up jumping before I look. Let's go back and pick up the pieces." Vin sighs and watches the tabaxi easily traverse the wet roof and descend to the street below, where many folk are now gathered > some to help with the smoldering fires, others to stare and speculate on what actually happened. Spades walks over to where Brass lies in the mud. 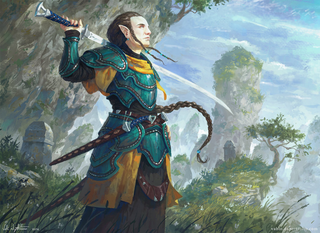 "Well, he won't be needing any of this stuff anymore," Grimmell says, as he checks over the body of the dragonborn; the elf has his hands full of what he considers potentially valuable items. Spades nods, and begins to go over the scene, looking for more clues. He finds what he is looking for on the inner lining of the dragonborn's large belt. A hastily scrawled note is attached there by a thin piece of wire wrapped around the belt's metal clasp. Spades sticks the note inside his shirt to keep it from getting wet. Aunt Marla and her servants, along with several of the townsfolk have gathered around the bodies of Oliver and Septinius. Aunt Marla is weeping and sobbing, patting Oliver's lifeless hand, while praying for a miracle. Bosch groans a bit and moves slightly and the middle-aged woman turns her full attention to the rogue. "By the Gods! What has happened?" comes a voice not too far away. Spades and Grimmell look up to see Holen, followed by Echo and Dorian, hurrying down the street. Holen is wide-eyed and is looking all around the alley at the fiery destruction. Then seeing Oliver's lifeless body she fall on the barbarian, weeping. "A great warrior as passed on to the halls of the gods! Praise his strength that they chose him to dwell among them." Turning to see Septinius Bosch wounded and barely moving, she cries, "Stand ready, one of you!" The servants of Aunt Marla flinch and look at her. "Quickly! Bind his wounds and bring a cart in haste! We must take him to a pious healing man and care for him! Hurry! Hurry!" "Here comes a pious healing man!" Aunt Marla says, pointing up the alley. All eyes look to see Feng lumbering down the street, through the mud and rain, a grim look on his face. "Feng! Septinius is gravely hurt and so are many others. Can you help them?" Dorian asks. 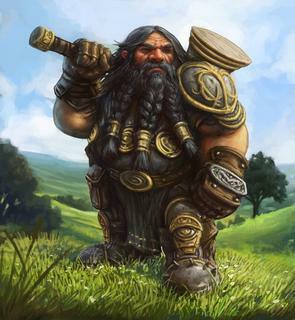 The big dwarf says nothing as his dark eyes take in the battle scene. He watches Grimmell finish stuffing his pockets, standing over the dead dragonborn, barely registering the Elf's words, "I'm ok right now > go help Septinius!" Feng lumbers forward as Spade steps out of the way, giving the healer space. Holen wipes her eyes as the dwarven priest says a quick prayer over the dead body of Oliver, before moving to Septinius. Like lifting a rag doll, Feng the Mighty scoops up the unconscious rogue and nods toward the back door of Aunt Marla's place. A servant opens the door and Feng bears Septinius inside, followed by the others. Once inside, the priest lays Septinius on a table, supports his head with an empty mug, and begins to chant slowly in the dwarven tongue. While Feng works with divine healing, Spades and Vin and Grimmell discuss what they believe to have transpired in the last few minutes. "They were after the book," Spades jerks his thumb to the outside wall. "Two of them escaped, a ranged rogue or warrior; I heard’em call him “Green” and a caster called “Darla” > she caused most of the damage. We should tread carefully now, seems word is out we have the book and whoever is after it doesn’t mind getting dirty." Vin listens and mutters, “Word is out we have the book moments AFTER we got it. Does that sound natural to ANY of you?” “Yes, they could have been watching the house for days and probably were . . . but they knew WE had it just after we left. Maybe they made the logical leap or maybe there’s more to it. Whatever the case, Marla said she never showed the book to anyone. Odds are we all know who most likely spread word that book even existed. Vin reaches into a pouch and tosses two gold coins to Feng. Holen is unusually quiet, watching Feng work to save the life of Septinius. Beside her, Echo and the ever-talking Dorian are equally silent. It is Aunt Marla who says, "What are you going to do now?" Last edited by hedgeknight; 25th of December, 2018 at 14:43.